These P-47/P-51 ARF profile models are an easy-to-transport, time-proven design, ideal for RC pilots who want a versatile, great flying airplane. They are also easy to convert to electric and float plane. These profile models are offered with special thanks and appreciation to Mr. Charlie Bauer. 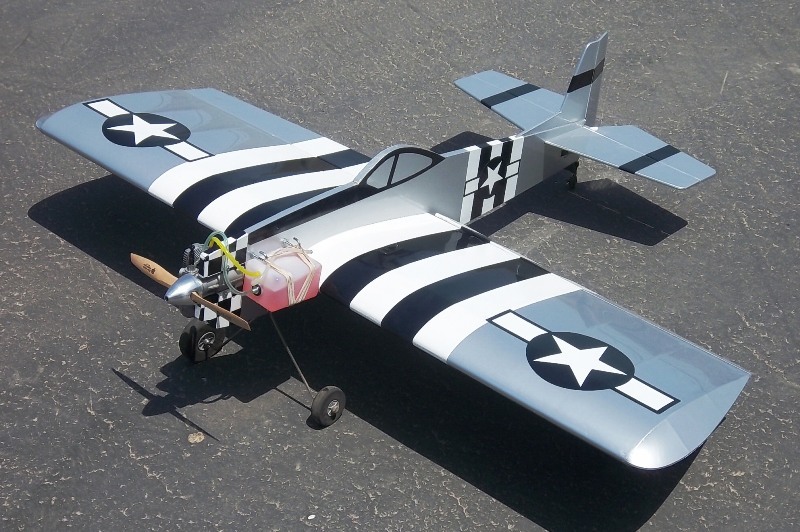 As owner of 4π RC and a District VI AMA Vice President, Mr. Bauer designed and sold these airplanes as kits for many years. Mr. Bauer gave his design to Richard Sang, owner of Maxford USA, so these airplanes could be redesigned and reproduced for sale in today’s ARF market. We sincerely thank Mr. Bauer for his design, for his review of our redesign, and for his valuable advice. 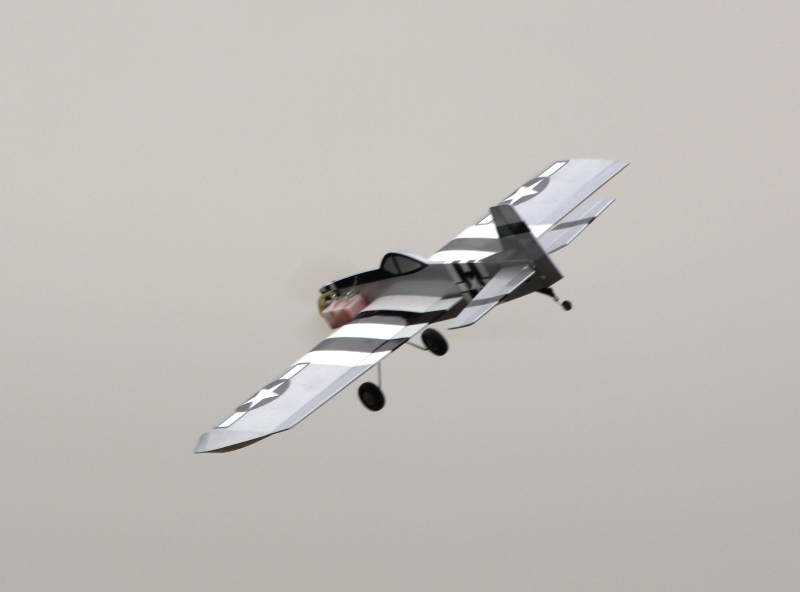 Changes in the ARF version include: a one-piece wing that separates from the fuselage for easy transport and storage; a hatch on the underside of each wing panel for electronics; a lighter weight fuselage with open ‘channels’ for rudder, elevator and throttle servo extensions; and a more scale-like profile appearance. Wing may be removed from the fuselage for transport and storage. 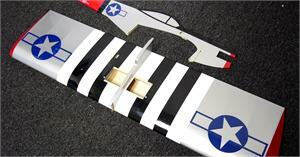 Hatch in the bottom of each wing panel for access to your radio system components. The hardwood engine-mounts may be drilled to fit most popular engines. The fuselage, wings and empennage are laser-cut, jig-assembled balsa and light plywood. All airframe assemblies are prefinished with Mylar covering material. 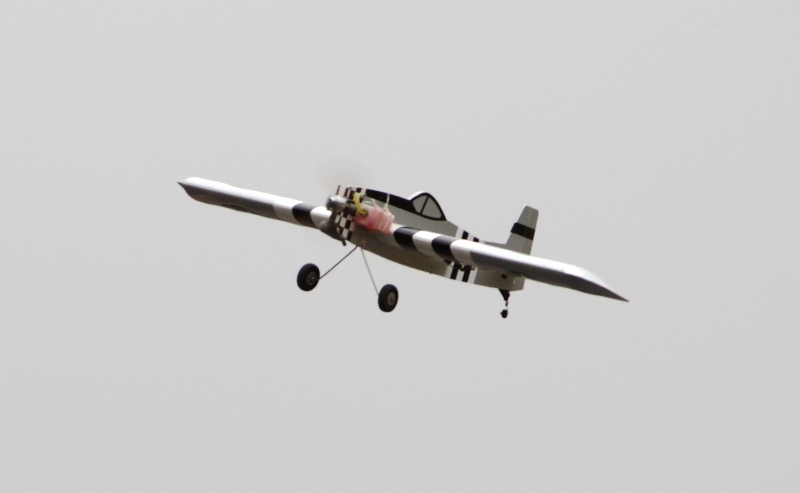 Ailerons are independently operated by separate in-wing servos for easy optional flaperon and/or differential conversion if such options are available in your radio. Easily adaptable for operation on optional 40-sized floats for flying from water. *All dimensions and weights are approximate.